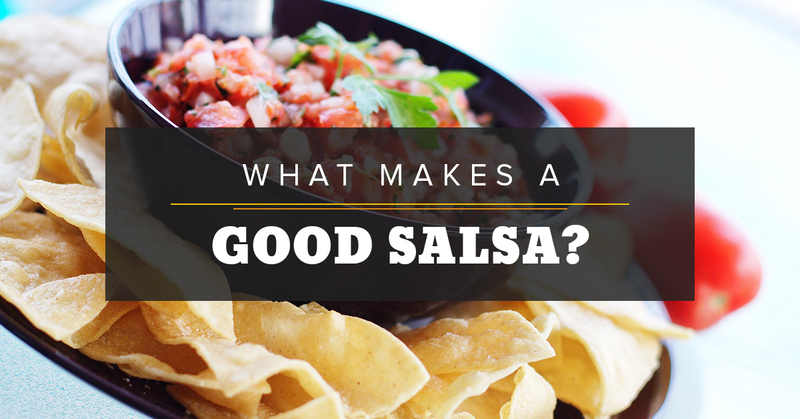 Mexican Restaurants Santa Fe: What Makes A Good Salsa? You dip chips into it, you pour it over tacos, it freshens up and can add a spicy kick to your favorite Mexican food dishes. Meaning ‘sauce,’ salsa can be chunky, smooth, fresh, or spicy, and is a topping that gives life and character to your foods. 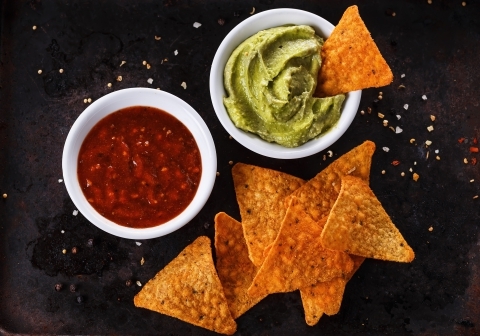 Much like Mexican food itself, native Mexicans didn’t use the word salsa until colonization started and Spanish trade brought in new foods like limes, garlic, cilantro, and cumin. Before the Spanish came, they used the word ‘molli,’ or ‘mixture’, made with native ingredients like tomatoes and wild herbs. Learn more about the life of salsas, ingredients, varieties, and secrets to make your own. For the best New Mexican food in Santa Fe, visit our restaurant, Tortilla Flats. Salsas made in a variety of regions depend on what is being grown locally. Avocados are commonly found and used in Mexico, but if you travel farther south into the country, many salsas are made with fruit, where they are grown. The northern region, where it is hotter and dryer, tomatillos are more popular than tomatoes. In the Yucatan, the part of Mexico that reaches into the Gulf of Mexico, tomatoes and habanero chiles are popular. So what are these salsas like? Keep in mind that not only the ingredients, but the way they are prepared, can make a real difference in the flavor, heat, and texture. For example, roasting tomatillos with seasonings like chiles and garlic can leave it jammy. For a chunky salsa, mash garlic, chile, and salt, then mix in roasted tomatillos. If you prefer a smooth salsa, puree the ingredients. Salsa Roja de Molcajete: tomatoes, chiles, and garlic. The tomatoes and chiles are prepared over a griddle that will bring out the sweetness and add a smoky flavor. Chiltomate: Made from tomatoes and habanero chile, the soupy salsa can be used as a braising liquid for pork and has a smoky/sweet flavor. Guacamole Taquero: A silky, raw salsa made with tomatillos, avocados, serrano chiles, cilantro and garlic. This salsa makes for a great addition to tacos. Pico de Gallo: A more American version of salsa, this is chunky and made with chopped fruits and vegetables, chiles, herbs, lime, and salt. Instead of using tomatoes, you can have fun with making salsa and add your choice of fruit. Mango salsa is becoming more and more popular, but also try melons, peaches, pineapple, or tomatillos. Mix up the herb. Just like you can switch out the tomato, you don’t always have to use cilantro in a salsa. Try parsley, mint, basil, or oregano. These herbs can taste great with a variety of fruits and vegetables. Keep a balance in the flavor. Play around with salt, vinegar, lime juice, hot sauce, or a dash of sugar. Tasting the salsa as you’re making it can be part of the fun and you’ll finish with exactly the balance you want. If you want a delicious, spicy salsa made with fresh ingredients and brought to your table with some amazing tacos or quesadillas, come to Tortilla Flats. The perfect blend of ingredients and great food to dip, pour, or top the salsa, you can’t beat our local Santa Fe Mexican food restaurant.